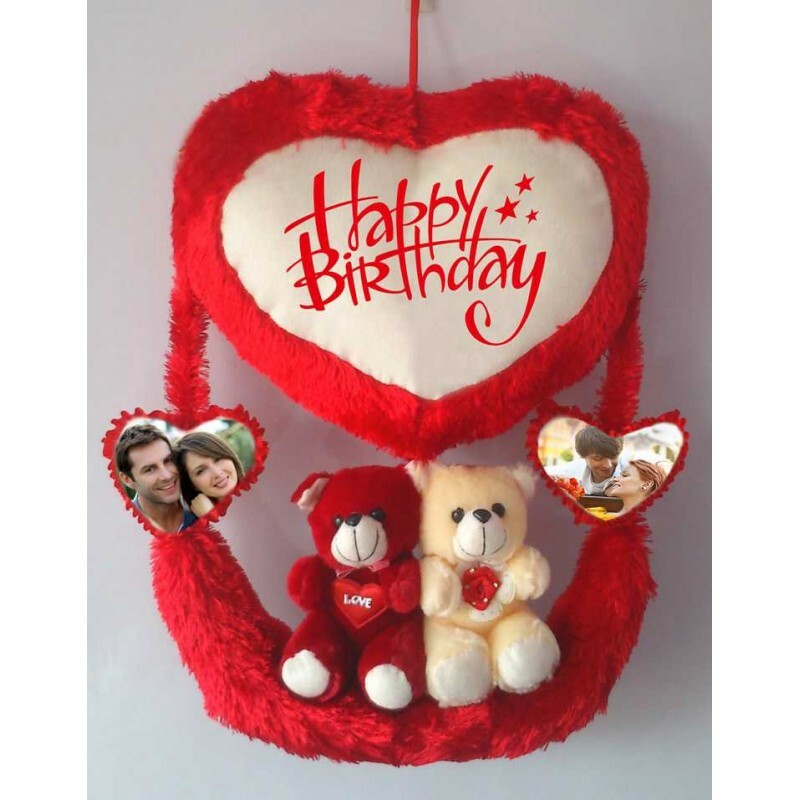 If you are looking for a special gift for someone then nothing can be a better option than this personalized red couple teddy bear hanging heart jhoola. Soft toys are loved by the people of all age groups. This teddy bear jhoola is red in color and has two beautiful teddy bears placed in the middle of the jhoola. The big heart can be personalized with any message that you want like "I Love You", "Happy Birthday", etc. It also has two small hearts attached to the big heart and jhoola that can be personalized with pictures provided by the buyer. This teddy bear Jhoola is Specially handcrafted in INDIA. Funny Bunny Emoticon Pillow "Bunny Teeth" is made of super soft plush E.F. The Bunny Teeth Emoticon ..